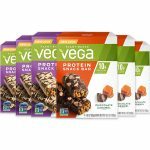 Deal Categories: Protein and Energy bars.Stores: Suppz.com. OH YEAH ONE bars Sale. add 1 box to your cart (choose Key Lime Pie flavor) and proceed to checkout.